Lady Gaga and Lisa Vanderpump have a blast together at an outing in Los Angeles. 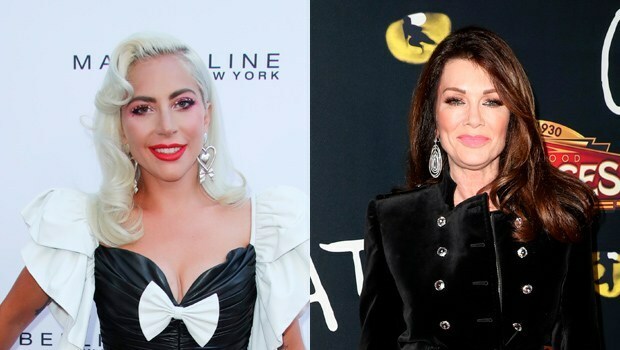 The 32-year-old pop sensation Lady Gaga, and 58-year old reality TV star Lisa Vanderpump, maybe the hottest and happening celeb duo in Hollywood. However, the celebrity pair didn't let their immense fame come in the way of them having a blast at a public girls' night out on Mar. 17. As confirmed by an insider, the Academy Award-winning singer and the famous reality star were witnessed having a complete and utter blast as they joined the ambiance of Los Angeles most happening restaurants, PUMP, and TomTom. While enjoying their outing at TomTom, they sat in the garden and Gaga reportedly loved it. "It was a night of girls being girls after Lisa had just landed from Las Vegas working all weekend and last week." "The ladies also did some DJing at the restaurants and took turns playing music." The popular friends might have decided to party it up as St. Patrick's Day in the U.S fell in the very same day. Although there has been no confirmation, the possibility is quite high. Lisa is getting the final preparations in line to open her new venue, Vanderpump Cocktail Garden at Caesar's Las Vegas on Apr. 1. The night out proved to be a great one for the promotion of the restaurant as the reality star took to Twitter right after the outing to share a message that included a Gaga tag. Along with a cartoon photo of herself laughing with tears coming out of her eyes, she gushed about the fun times she shared with the singer. Gaga and Lisa have been friends for a while now and their friendship seems to go as far back as 2014. The pair had an instant connection when Lisa featured in one of Gaga's music video for her song, G.U.Y. accompanied by other RHOBH castmates. The reality-star beauty played tambourine in the wild video and also rocked a tight black bodysuit in the following scene.